But reports directly from the region suggest that a major turn around could be in store as a depleted harvest and other factors could begin to reverse the bargain price situation. Prosecco grew 8.8% in the off-trade in the year to 18 June 2017 (IRI) and growth is similar in the on-trade. Equally, the Prosecco market as a whole has grown exponentially over the past five years, with Kantar putting the number of Prosecco shoppers at 8.5million last year, up from 2.4million in 2012. And yet, retail prices continue to fall, with figures from IRI putting the average bottle price in 2017 at 22p lower than last year. Note: IRI has confirmed the actual figure is 22p for Prosecco - not the 23p quoted in the media. 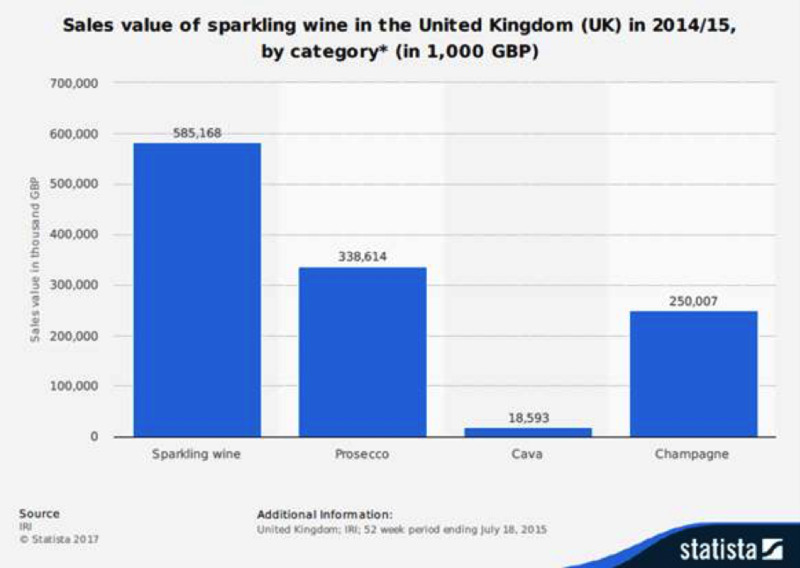 However, the average price for the entire sparkling caterory has fallen by 23p, showing dramatic price erosion on the category as a whole. Connoisseur Estates managing director Andrew Steel, calls this situation “crazy” - especially in regards to Prosecco, which is already at maxium output. Steel, who has several large contacts with Prosecco producers in the Veneto region, said that situation isn’t sustainable in the long-term because of Prosecco’s finite resources as a DOC area, but also that various pressures could see prices rising by as much as 10% by January. Prosecco became a DOC around eight years ago when, among other stipulations, production was limited geographically to the Veneto region. But despite growing on every spare piece of land to keep up with growing demand, prices have been steadily eroded in the UK, led predominantly by the discounters who have been selling Prosecco at a loss in order to drive footfall. Other FMCG categories have benefited – but Prosecco isn’t one. “Lidl was seling a case for £20,” said Steel, speaking of the August bank holiday deal which saw Prosecco retail for £3.33 a bottle. “The duty alone is about £16, add to that VAT, and that’s £20, which means there’s no cost on the wine. Signs suggest however that the of zero-margin Prosecco could be coming to an end. According to Steel, negotations for the first Prosecco shipments since the harvest have seen ex-cellar pricing rise by 33% over the past three weeks alone from €1.70 to €2.30 a litre. Steel believes this will force the price of finished goods in the UK up by 10%.